Item # 318124 Stash Points: 5,495 (?) This is the number of points you get in The Zumiez Stash for purchasing this item. Stash points are redeemable for exclusive rewards only available to Zumiez Stash members. To redeem your points check out the rewards catalog on thestash.zumiez.com. 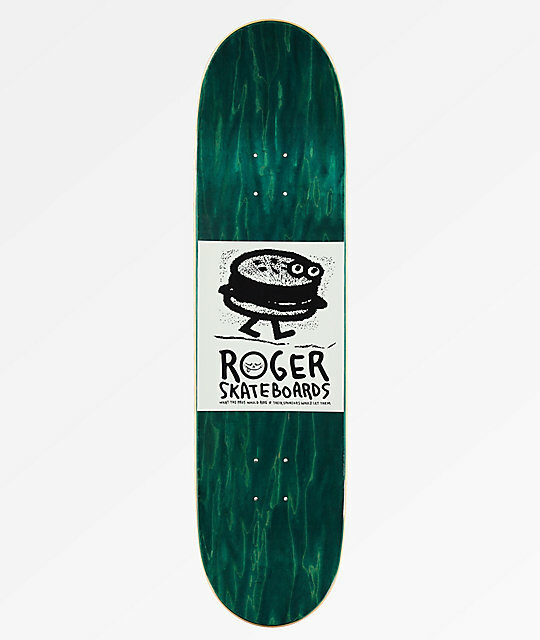 Shred the streets or your local park with the Sword Swallower 8.25" Skateboard Deck from Roger Skateboards. This deck features a graphic of a cartoon sword swallower attempting a death defying stunt. With steeper kick tails and moderate concave, this deck offers solid performance for whatever features you choose to slay. 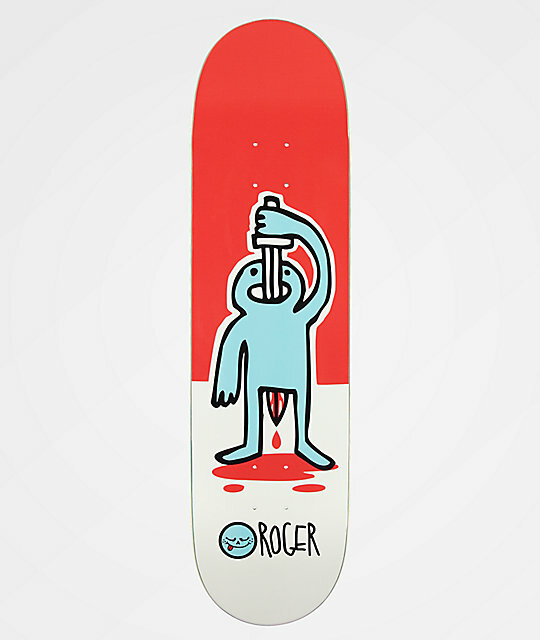 Sword Swallower 8.25" Skateboard Deck from Roger Skateboards. Medium concave and wheel well depth. Moderate pitched, wide and slightly tapered kick tails.